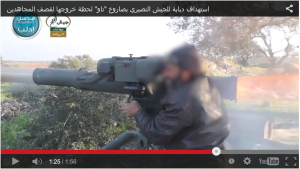 The Al Nusrah Front, al Qaeda’s official branch in Syria, has released another video showing its fighters using American-made TOW missiles. 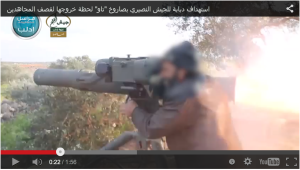 As The Long War Journal reported earlier this week, Al Nusrah released a video featuring a TOW missile attack in the early hours of the jihadists’ newly-launched offensive against Syrian regime forces in the city of Idlib. 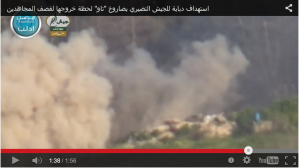 Al Nusrah continues to use the weapons against Bashar al Assad’s forces. 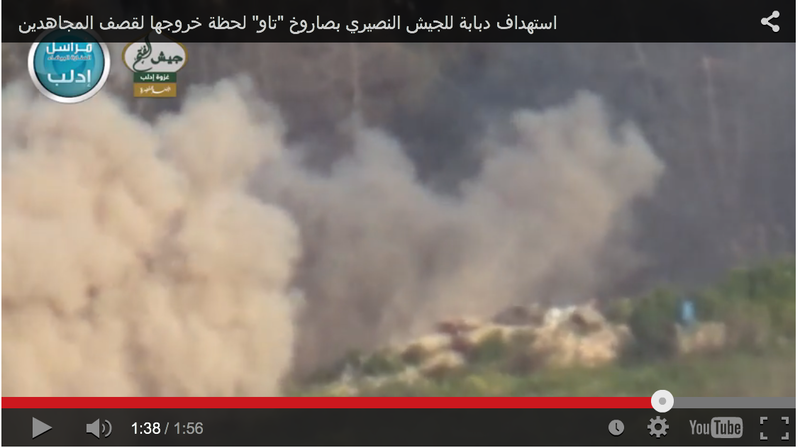 Earlier today, Al Nusrah released the video shown above on one of its official Twitter feeds. 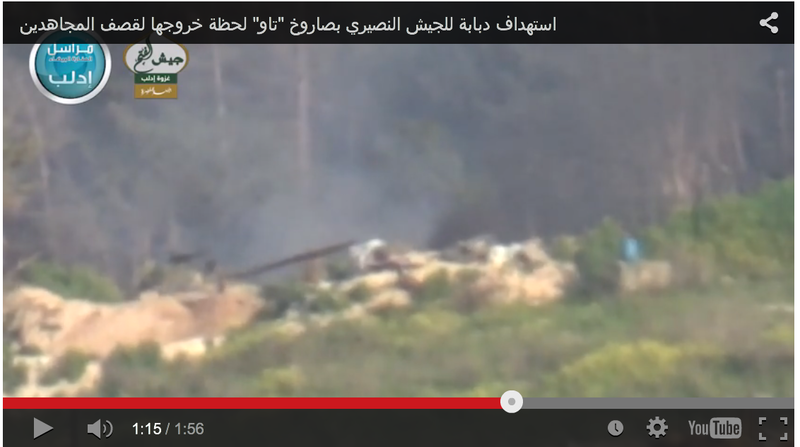 The fighter, whose face is obscured, fires two TOW missiles on Syrian tanks. 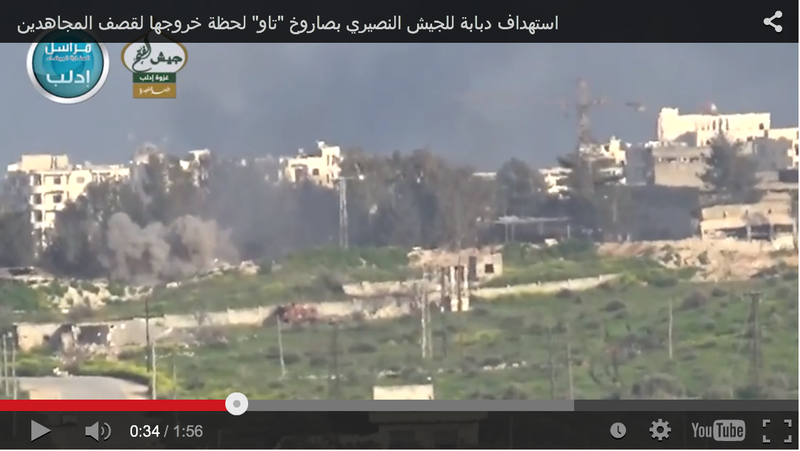 The video footage shows one of the tanks creeping above the horizon before it is destroyed. 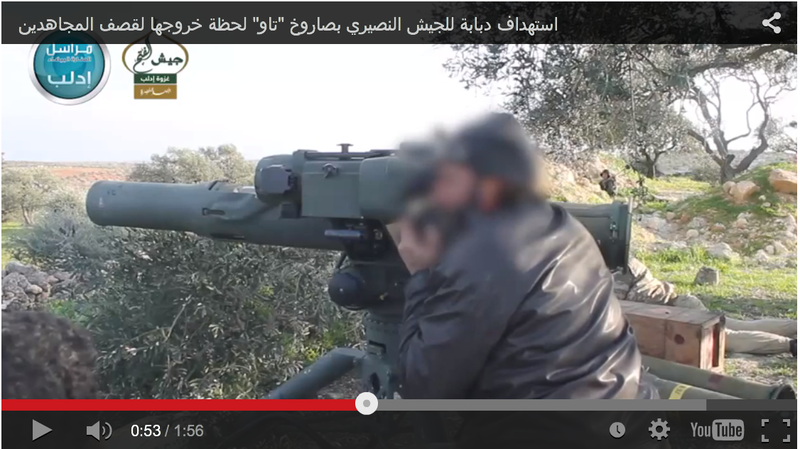 It is unclear how many TOW missiles Al Nusrah has in its possession. But it is clear from the videos and pictures published on social media that the group has a stockpile of the weapons, which were captured from Western-backed rebel groups. 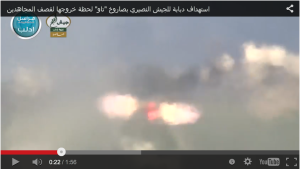 Al Nusrah first featured the missiles in its propaganda last year. Below are some screen shots from the video released earlier today. As with all of Al Nusrah’s propaganda from the battle of Idlib, the video is branded with both the logo for Al Nusrah’s so-called “correspondents network,” as well as the logo for Jaysh al Fateh, the jihadist coalition that seeks to take control of the city. weapons are captured and traded in every conflict. you can even see it in movies, like Black Hawk Down, where Delta boys used the skinnys’ truck artillery. Some abandoned Israeli trucks from Lebanon made it into Syria, with Hebrew markings. No way IDF would allow themselves to be ID’d so easily. They were not supporting either side until recently.